As a personal injury attorney in the state of Hawaii, Mr. Lawson has worked with both local and mainland firms as co-counsel. Mr. Lawson has worked side-by-side with other firms and also in a supervisory capacity using his many years of experience to guide the client to the appropriate resources. We have used arbitration, mediation and civil litigation- each at its proper time. Attorney William H. Lawson provides legal services in each area of need for a particular case - sometimes by bringing in other lawyers and law firms to assist us on the claims. Over the years Mr. Lawson has provided the individual communications and responsive contact that assures a client of personal attention while still providing high quality legal services even in complex and difficult cases. Amy Woodward is also a personal injury attorney in the state of Hawaii. She is an associate at the Law Office of William H. Lawson, and she has concentrated her practice in the area of plaintiffs' personal injury litigation since 2016. Prior to joining her father's firm, Ms. Woodward practiced law at Carlsmith Ball LLP (one of the top corporate law firms in Hawaii), focusing predominantly on litigating commercial disputes. She has already successfully handled arbitration hearings and depositions as the lead attorney, she has participated in successful mediations and a lengthy jury trial and she plans to represent people who have suffered serious loss from an accident connected to Hawaii for many years to come. William H. Lawson of Accident Attorney Hawaii handles car accidents (MVAs- motor vehicle accidents - trucks, buses, motorcycles, mopeds, etc); pedestrian accidents; construction defect accidents; accidents resulting from defective products (dangerous products liability claims); serious falls; serious premises liability claims; boating and maritime accidents (accidents in the ocean or at sea); claims against insurance companies and other claims. Although there is no certification for specialization as a trial lawyer under Hawaii law, Mr. Lawson's law practice has strongly emphasized trials and trial related work. If you or a loved one has been seriously injured, Contact Accident Lawyer Hawaii now for a free evaluation of your case. 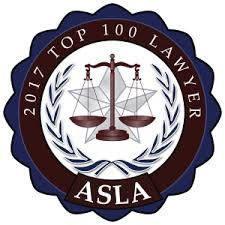 Accident Lawyer Hawaii - Christian does not publish a list of representative clients due to privacy concerns. Although Personal Injury Attorney William Lawson is located in Hawaii, we have assisted on Hawaii matters for clients and co-counsel from all over the United States and many parts of the world. To date Accident Lawyer Hawaii - Christian represented residents of: Arizona, Arkansas, California, Colorado, Connecticut, Florida, Georgia, Hawaii, Idaho, Illinois, Kansas, Kentucky, Maine, Maryland, Massachusetts, Mississippi, Missouri, Nevada, New Hampshire, New Mexico, New York, Oregon, Montana, Pennsylvania, South Carolina, Tennessee, Texas, Utah, Vermont, Virginia, Washington, West Virginia & Wisconsin as well as Argentina, Australia, Brazil, Canada, Guam, South Korea, Micronesia & the Phillipines.